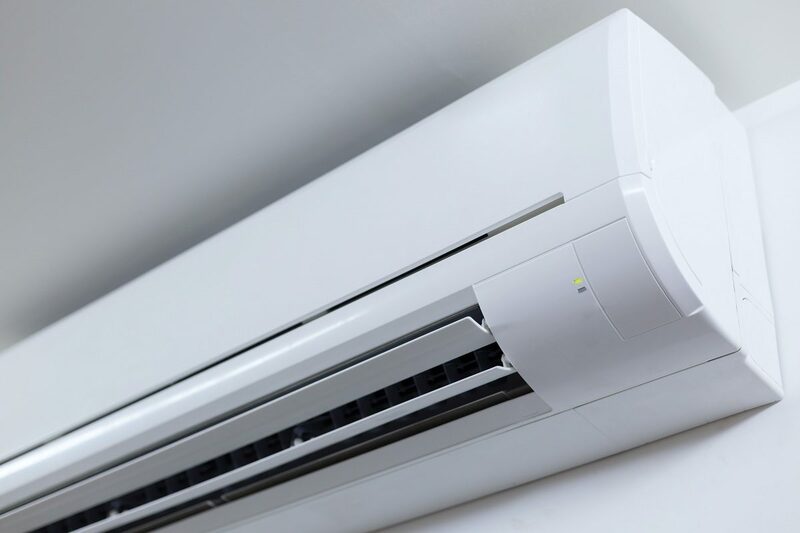 When it comes to air conditioning units, there’s no such thing as ‘one size fits all.’ Different homes and different occupants have different needs, so identifying the ideal AC unit for your space, within budget, often requires research and reliable advice. For example, you can cool the entire house and increase the value of your property by installing a central air conditioning system. Or perhaps you’re renting a small apartment and only need a unit to cool the bedroom. Highwall air conditioners, often called split air units, are a common feature in many Australian households because they are inexpensive to instal. They operate quietly and are decor-friendly. A highwall air conditioner consists of two main parts: the indoor and outdoor component. The sleek-looking indoor unit contains an air filter, a long blower and the cooling coil; the outdoor unit houses the compressor, condenser coil and capillary tubing or expansion coil. Both units connect with a set of electrical wires and tubing. High wall air conditioners are generally quieter than other units because the compressor, which makes most of the noise, sits outside the room. Installation in new homes is flexible as they can be easily placed on an internal or external wall. For internal applications, the condensate can be drained away via a pump installed through the unit frame or the ceiling. Cassette air conditioners are ideal for residential properties that have large open areas or limited wall space. Most of the system’s components are hidden in the ceiling so you’ll only see the thin grilles and four vents. This minimalist look makes cassette units suitable for any design plan in a modern home. Due to their position on the ceiling, cassette units are good at evenly distributing cooled air throughout the room. The condenser, typically placed outside the building, makes it a better choice for a house. Cassette AC units are energy efficient because of their adjustable thermostats and variable speed fans. If you want the ability to cool your entire house at the touch of a button, ducted AC units will consistently cool your whole home. The central unit is often out of sight in the roof, with refrigerated air pumped through a system of ducts to vents. Only a small fraction of the entire air conditioning system remains visible which means you’re free to style each room as you please without worrying about a wall-mounted unit. Air conditioners have functions designed to fit your lifestyle. Most AC systems and units have timer settings that allow users to pre-programme cooling to come on at a pre-determined time. Sophisticated ducted systems also offer wi-fi connectivity, which means you can automate and operate your cooling system from your smartphone or other similar remote devices. Need an air conditioner for your home? At Air Master, we specialise in home AC installation and services. We have a wide range of air conditioning units designed to suit the layout of any residence. Our team has installed and serviced many AC systems around Auckland and Northland. With over forty decades of experience, you can depend on the quality of our products and the expertise of our specialists. From wall-mounted to ceiling cassette systems, we have a wide selection of units to provide your home with the right cooling system. For more details or enquiries, contact us on 0800 125 959 or send an email to info@airmaster.co.nz.